We’re here to solve your problems on: How to fill, How to Refill, How to use a refillable vapor pen, how to fill up a rechargeable vapor pen. 1. The Vaporizer Pen consists of two main parts, the Cartomizer or clearomizer (where the liquid goes) and the battery. You will also have some sort of charger, (usually wall or USB). 2. Plug in the charger and screw the battery into the charger. 3. Once plugged in the light on the charger will turn red. Once the light turns green your battery is fully charged. Allow for a complete 8 hour charge. 4. Turn the battery off by rapidly pressing the button 5 times. The button will blink when the device is turned on. Your battery will also blink when it needs to be charged. 5. Unscrew the drip tip. open your vapor cbd liquid, tilt at an angle and pour your liquid into the Cartomizer. 6. 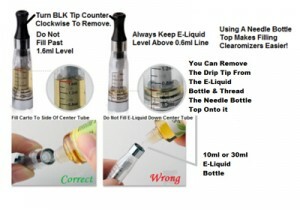 Do not fill past the 1.6 ml line. When finished, secure the drip tip and vape. We hope that this will give you an idea on How to use CBD oil in vaporizers. Cannabidiol (CBD), like THC, can be heated and inhaled using a vaporizer. Our 420 Vape Juice was created specifically for e liquid cigarettes and vaporizers. This entry was posted in Featured Articles and tagged Cannabidiol, CBD, CBD Oil, Hemp Oil, using cbd oil in vaporizers. Bookmark the permalink.